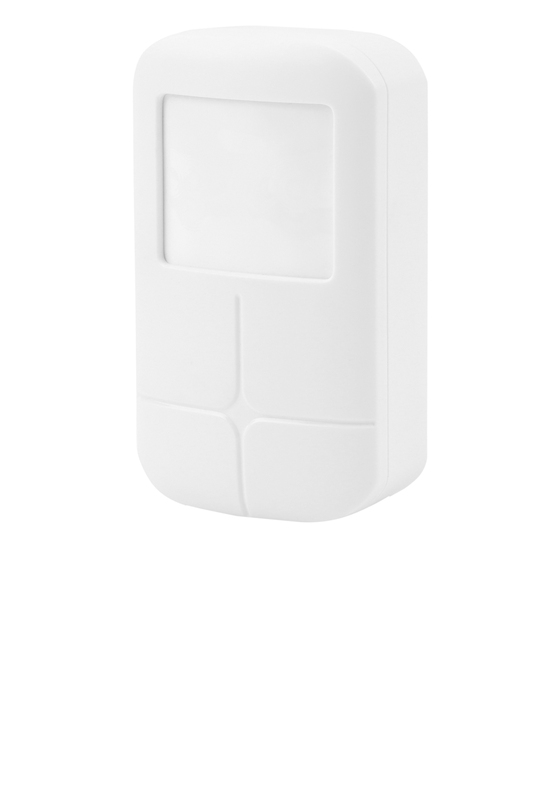 For monitoring rooms, passages or corridors: The motion detector detects motion of any kind up to a range of 8 metres and a viewing angle of 110°. It can also be used in humid rooms. When you leave the house, you switch to alarm mode. That means the system sends a message to your smartphone or tablet as soon as a door or window is opened. The alarm is easy to install anywhere you want because it is battery operated.